Norwegian Air will honor Freddie Mercury by painting a giant picture of him on the tail fin of a B787 Dreamliner. 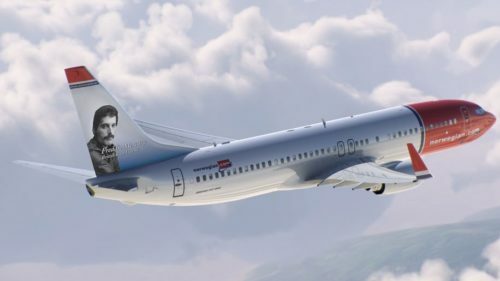 The Freddie Mercury plane will be the fifth that Norwegian has painted to honor a famous British person. Previous “tail fin heroes” include soccer player Bobby Moore, author Raold Dahl, pilot Amy Johnson, and entrepeneur Freddie Laker.